I haven’t been doing a lot of perfume reviews this year in comparison to the past, because although I really love photographing, trying and reviewing fragrance I have a pretty large collection and I was working on finishing a couple bottles. Well, I finished two so it’s time to get back into the fragrance addiction, starting off with the new Burberry My Burberry Black Parfum. 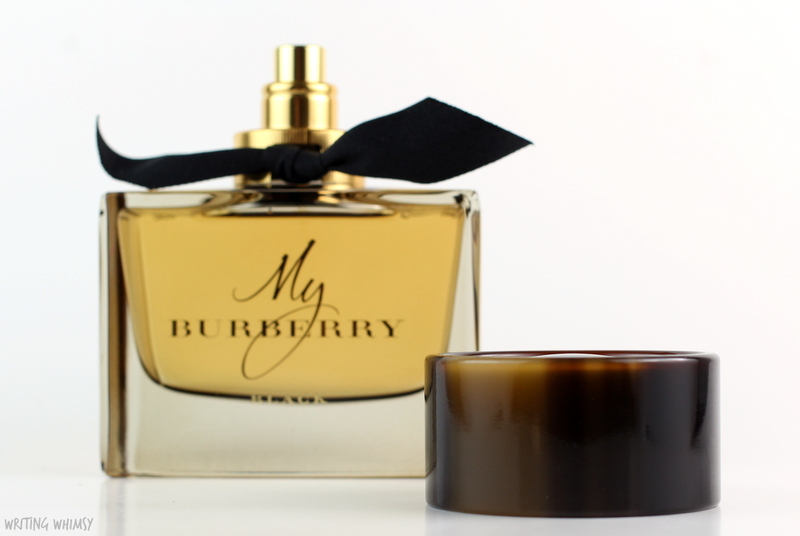 I have reviewed both the original Burberry My Burberry as well as the lighter, My Burberry Eau de Toilette, in the past so I was excited to see the brand expand the collection with the new darker, more sensual fragrance, Burberry My Burberry Black. The new bottle definitely matches the previous too, but both the ribbon–a hand-tied black English-woven gabardine knot made in Castleford, Yorkshire–and dark amber liquid itself have a darker look to them. 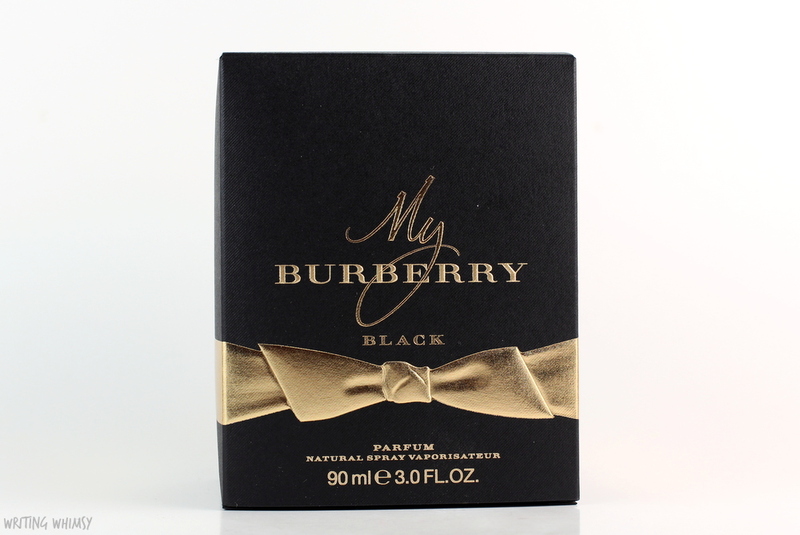 In terms of fragrance, Burberry My Burberry Black Parfum is a sweeter, heavier scent compared the previous two. To me, this is definitely a fall or winter fragrance. It has a light floral note of jasmine with a sweet heart note of rose and peach, resting on a base of amber and patchouli. The fragrance is pretty strong–I only use one spray–and I find that the patchouli does get stronger over time. The scent also lasts a really long time. 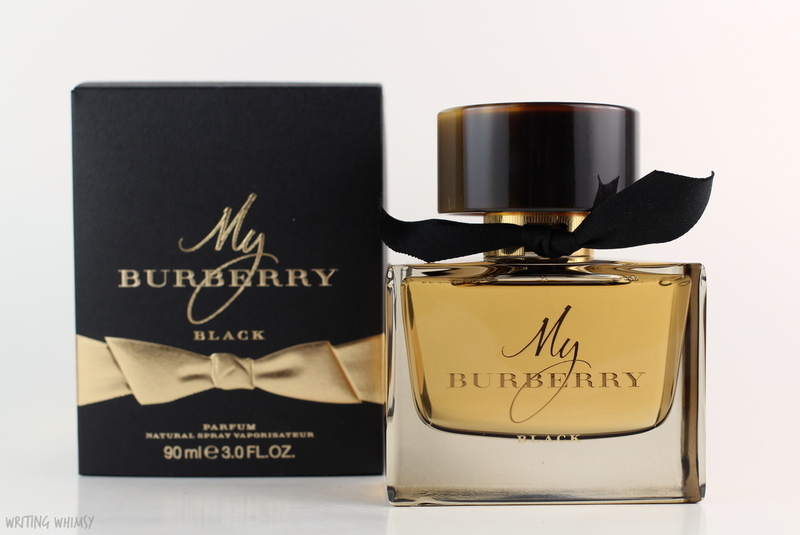 If you are looking for a sweeter but darker version of the My Burberry scent that’s perfect for the cooler weather definitely check out the Burberry My Burberry Black Parfum. This long-lasting fragrance has the same gorgeous bottle and is a great new addition to the range. As a bonus, you can actually personalize your My Burberry Black bottle with up to three initials through monogramming service on Burberry.com and select Burberry and wholesale stores. 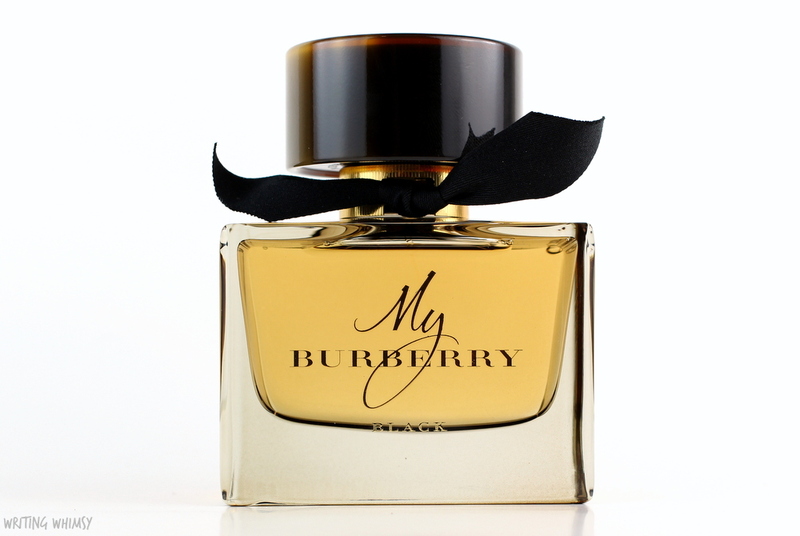 Have you tried any of the My Burberry fragrances yet?